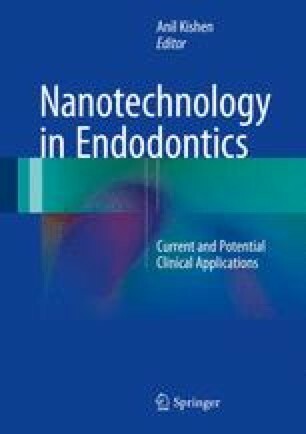 This new textbook on current and potential applications of nanotechnology in endodontics is offered to the endodontic community at a juncture when there is emerging understanding that traditional endodontic therapy may be limited in its ability to cure apical periodontitis and retain treated teeth. Improvements in treatment outcomes have been elusive, suggesting that “out of the box” approaches are needed beyond conventional endodontic therapy and restorative concepts. Dr. Kishen’s textbook offers the first focused glimpse at nanomaterials harnessed for root canal disinfection and stabilization of root dentin to overcome the microbial resilience, the ultimate challenge in endodontic therapy, and to enhance the resistance of root dentin to cracking. It provides an insight into how emerging nanotechnologies may benefit teeth and patients. Because of its focus on emerging innovative technologies, the content of this textbook and its detailed analysis are not yet found in any of the other endodontic textbooks. In this regard, it is a most timely addition to the endodontic texts which will become a valuable resource for endodontic clinicians and researchers.